The Spirit of Philanthropy award is given to a living person(s) who has shown a commitment to charitable responsibility and a generosity to inspire others to philanthropic action. 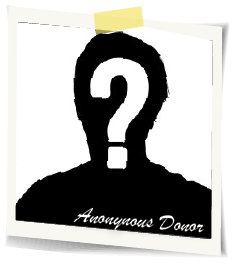 This person(s) is a real person and the story I am going to share is a real story, but this donor is one who prefers anonymous for a name. This friend has lived and worked in this community all their life and shared that it’s important to give back to a community that allowed them to have a good life. As my relationship with this friend has developed over the years I have come to learn that their giving is out of wanting a better opportunity for future generations. “I want the money I made to stay in the community in which I made it to build a solid community for people to return to.” Generous annual unrestricted gifts have been trusted to the community foundation by this anonymous friend to be used where we see the greatest need. This trust and generosity is something the LACF board and I accept with great care and gratitude. This friend has also supported most generously the local Dollars for Scholars program, continuing a desire for helping future generations to get a good start. Have you picked up on what pulses the heart of this friend. Future. The future of our young people and the community in which we can help create through charitable gifts. You may be wondering, why anonymous? It could be for any number of personal reasons but for our friend, a lead by quiet example mixed with humble shyness and a desire to not draw attention is what makes this award choice so appropriate. Thank you anonymous friend, let us celebrate your spirit and congratulate you. Betty Mann is this year’s recipient of the Spirit of Philanthropy award. This award is given to a living person(s) who has shown a commitment to charitable responsibility and a generosity to inspire others to philanthropic action. Betty’s inspiration as a person of philanthropy comes in many forms. She gives generously of her heart, her time, her money and her passion. Some of Betty’s most public generosity comes in her passion for the Rock County History Center. For 23 years Betty has been the president of the Rock County Historical Society and visionary for keeping the history of Rock County alive through the museums which have grown from one building to six. The research room and volunteers guided by Betty at the History Center have created a system of history collection that is invaluable. Betty says, “It is so gratifying to help someone to find information on their family or subject matter.” In addition to her personal financial commitment to community, Betty has also donated her nutcracker collection, numbering 2,800 and counting in hopes that it would attract people to the History Center. Betty told me that she gives because of how it makes her feel. She states, “I really enjoy doing things to help others. God has given me a great life and I feel happy when I can do something for others.” It is her hope that her example of giving would inspire others to do the same. Gene and Barb Ashby are this year’s recipient of the Spirit of Philanthropy award. This award is given to a living person(s) who has shown a commitment to charitable responsibility and a generosity to inspire others to philanthropic action. In 2006 Gene and Barb lost their son Chris to a car accident at the age of 16 just before starting his junior year of high school. In the face of heartache Gene and Barb made a commitment to share a part of Chris’ legacy with his graduating class of 2008. 70 of Chris’ peers received a $500 scholarship on top of their qualifying Dollars for Scholars gift; a gift of $35,000 to 70 young people who will be forever impacted from their act of generosity. 70 opportunities to someday pay it forward and be inspired to do something for someone else. Gene and Barb also share a love of bike riding. In hopes to provide opportunity for others to share in this love Gene and Barb have started a Bike Path Development Fund at the foundation for future hard surface bike paths outside the city limits of Luverne. The Ashby’s have lived in Rock County most of their lives and have enjoyed the lifestyle it has offered. It is their hope that this gift and vision will continue to improve the quality of life for future Rock County residents. Congratulations and thank you Gene and Barb.